Speaking Monday at the kick-off of Tulane University’s new ByWater Institute fellowship program, Lt. Governor Billy Nungessser said that President-Elect Donald Trump will create jobs and economic opportunities in Louisiana, especially in the oil and gas industry. “President Trump is going to be good for business in Louisiana,” said Nungesser. Trump has tasked Myron Ebell with recommending staff for the EPA and will quickly eliminate many of the federal regulations now impacting oil and gas so that the industry can build. Though USA Today says Trump’s pro-drilling stance lacks details, industry leaders in Louisiana are excited about the prospects. While the Nungesser family earned its wealth from a company that served the off-shore oil industry – General Marine Catering – Nungesser has always been a strong advocate of protecting Louisiana’s coast, especially its wildlife. 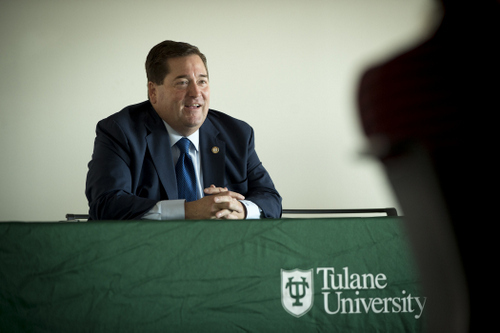 “We are living in a word of finite resources,” said Nungesser who witnessed five hurricanes and the BP oil spill in recent years. “It is our responsibility to coordinate better, take the right actions, have stakeholders come together and prioritize.” Nungesser believes that local leaders should have a seat and voice at the table early on whenever the federal government comes in after a disaster. Nungesser says it is also crucial for Louisiana to plan ahead. “Unfortunately, we will see another disaster. We must set the funding criteria now for short term and long term needs,” he explained. Nungesser also feels that Congress should do a better job in working with affected communities across the country and that bipartisan support is necessary to ensure adequate funding. Nungesser says he saw a different side of President-elect Trump when they toured Baton Rouge area neighborhoods together right after the great flood of 2016. “He kept the media away while we went house to house and to a church. He took his time and listened closely. I could tell this guy really cared,” Nungesser explained. Trump’s demeanor in Baton Rouge should bode well for future disaster relief efforts. Funded in part by the Rand Corporation, Tulane’s ByWater Institute created a disaster resilience leadership program to better prepare regional leaders to work cooperatively when disasters strike. Congressman Cedric Richmond is set to become chair of the Congressional Black Caucus (CBC) when the 116th Congress is sworn in next January. Richmond has always been considered a rising star by seasoned CBC members like John Lewis and Jim Clyburn who campaigned for Richmond during his 2010 race. Because of Richmond’s strong ties with Republican Congressman Steve Scalise, he is in a good position to build a bridge to the Trump administration. Founded in 1971, the CBC has been a unifying voice for African-American members of Congress. Whenever a sitting governor and a sitting congressman co-chair a fundraiser for someone other than each other, the honoree — in this case State Senator J. P. Morrell — has some serious stroke. One of several individuals contemplating a run for mayor in 2017, Morrell expects a large turnout for tonight’s event at the home of New Orleans businessman Jimmy Woods. Woods just returned from a brief but much needed vacation after his wife Regina Bartholomew-Woods won an appeals court seat earlier this month. In addition to the host, Morrell’s finance committee includes such heavy-hitters as Darryl Berger, John Cummings, Joe Jaeger, Rick Farrell, Chip Forstall, Bill Hammack, Janice Parmalee, Christian Rhodes, CJ Blache and Larry and Lane Sisung. Among the co-hosts are former mayor Sidney Barthelemy, Constable Lambert Boissiere, former senator Ed Murray, Walter Baudier, Leslie Jacobs, Chris Coulon, Bill Hines, Nancy Marsiglia, George Kleinpeter, Julie Schwam Harris, Robert Lupo, Norma Jane Sabiston, Gary Solomon Jr., Mike Valentino, Alvin Richards, Blake Jones, Sundiata Haley, Brian Egana, Felicia Kahn, Darrel Saizan, Jim Ward, Billy Sizeler, Madalyn Schenk, Felicia Kahn, and future city council candidate Joe Giarrusso III, who happens to be Morrell’s cousin by marriage. 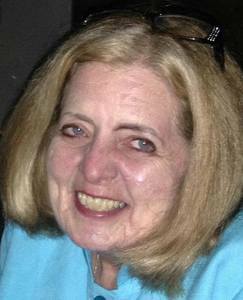 Morrell is wed to Giarrusso’s first cousin Catherine whose grandfather was former police chief Clarence Giarrusso. According to a source, Morrell has upped his interest in the race because he considers the current field weak. Morrell could receive fundraising assistance from his law partner, Ira Middleberg, who was former mayor Marc Morial’s go-to man during that administration. Former State Sen. Sharon Weston Broome, who is in the December 10 runoff for mayor-president of East Baton Rouge Parish, will hold her second New Orleans fundraiser Tuesday November 22 at the Martine Chaisson Gallery in the Warehouse District. Chaisson is the brother of St. Charles Parish DA Joel Chaisson. In addition to DA Chaisson, other supporters include St. John Parish President Natalie Robottom, Mayor Mitch Landrieu, Congressman Cedric Richmond and a large number of councilmembers, state senators and representatives. Weston Broome has always supported New Orleans’ needs during her years at the Legislature and would be a strong ally for regional projects including high speed rail. Contrary to what I reported last week, District Attorney Leon Cannizzaro is not supporting one of his key staffers Assistant District Attorney Kevin Guillory who is in a tough runoff election against Appeals Court Judge Paul Bonin for the open Criminal District Court Division D seat. In fact, Cannizzaro is remaining neutral, according to close friend Bill Schultz, a Bonin consultant in this race. While Bonin has been endorsed by dozens of organizations and elected officials, Guillory has no endorsements. Instead his website includes a list of all the major cases he has tried and won. A native New Orleanian who attended Ben Franklin High School and LSU, Guillory turns 39 this Saturday. He is not surprised to have made the runoff. “Lots of people are looking for fresh blood. I am in touch with newer voters and younger voters,” Guillory said. Danae Columbus has had a 30-year career in public relations, including stints at City Hall, the Dock Board and the Orleans Parish School Board. Among the recent candidates who have been represented by her public relations firm are Foster Campbell, Regina Bartholomew, City Council members Stacy Head and Jared Brossett, Lt. Gov. Jay Dardenne, former Sheriff Charles Foti and former Councilwoman Cynthia Hedge-Morrell. Billy doesn’t recognize renewable energy sources like solar and wind. He knows what Trump will do when Trump doesn’t know what he will do.